Adrianne C. Mazura is a Chicago attorney who has represented national employers in all areas of labor and employment law for over 30 years. Ms. Mazura has represented employers before the National Labor Relations Board and the Equal Employment Opportunity Commission as well as before numerous state agencies, courts, and arbitration panels. Her work as national labor and employment counsel for a telecommunications company has involved her in every area of employment law, including union organizing campaigns, collective bargaining negotiations, and defense of numerous individual and multiparty cases throughout the country. Ms. Mazura's other clients include transportation companies, manufacturers, professional organizations, financial institutions, and college and universities. Ms. Mazura's vast experience in the field has been recognized nationally and locally. In 2011, she was named one of The Best Lawyers in America® in Employment, Labor and Litigation Management. Since 2008, Chambers & Partners has named her in Chambers USA®: America’s Leading Lawyers for Business. In 2007, Ms. Mazura was inducted as a Fellow in the College of Labor and Employment Lawyers. Since 2005, she has been selected for inclusion in the Illinois Super Lawyers® lists, in 2012, being named one of the Top 50 Women Illinois Super Lawyers and in 2013, named one of the Top 100 Lawyers in Illinois. In addition to charitable and pro bono work, Ms. Mazura has spent much of her time supporting research and continuing education of her fellow members of the bar. Ms. Mazura is a Sustaining Life Fellow of the American Bar Foundation for which she also serves as outside employment counsel. 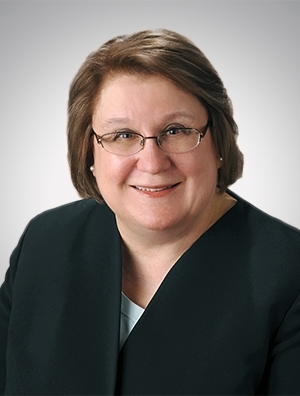 In 2008, she served as chair of the board of directors of the Illinois Institute of Continuing Legal Education, an independent, self-supporting nonprofit corporation that provides career-long practice guidance and tools to Illinois lawyers and judges. She has been a member of the ALI-ABA Advisory Panel on Employment and Labor Law.